Draft: 2010, Milwaukee Brewers, 21st rd. In 2017 was an International League All-Star and was rated by field managers the IL's best reliever...caught for 2 seasons at Marshall University before he was converted to pitcher in 2010...graduated from Providence (NC) High School. Spent most of the season at Class AAA Louisville, where he was an International League All-Star...was rated by managers the best reliever in the IL...led the Bats' staff in ERA and saves...among International League leaders ranked third in opponents' BA (.195) and fourth in saves (12)...in his Major League debut made 26 relief apps for the Reds...from 6/27-6/29 was on the roster for 3 days and made 1 appearance, his Major League debut on 6/29 vs Mil...made his last 25 apps after he was recalled on 7/29...5 times threw at least 2.0 innings, with a season/career high of 2.2 innings in his Major League debut on 6/29 vs Mil...in that debut vs the Brewers, started the fourth inning in relief of starter Homer Bailey and allowed a home run to his first batter, Jonathan Villar...struck out his second batter, Domingo Santana...on 8/22 vs the Cubs, in his second career plate appearance singled off John Lackey for his first career hit...retired the first batter in 16 of his 26 relief apps...stranded 4 of his 6 inherited baserunners...did not convert his only save opportunity...the Reds went 10-16 in games in which he pitched...became the first Louisville Bats player to pitch in the Triple-A All-Star Game since Greg Reynolds started in 2013...in the seventh inning of the Pacific Coast League's 6-4 win over the International League at Tacoma, stranded both inherited baserunners by striking out on 6 pitches Daniel Vogelbach and Colin Moran...recorded a strikeout in 32 of his 35 apps with the Bats, including a season-high streak of 21 consecutive apps...from 4/25-5/23 made 11 consecutive scoreless apps, tying his professional high...was a non-roster invitee to 2017 Major League spring training camp. In 35 relief apps at Class AA Pensacola and Class AAA Louisville combined to finish 2-2, 2.03 while converting 8 saves in 10 chances...began the season on Pensacola's disabled list with a strained right groin...was reinstated on 5/28...on 6/28 was promoted to Louisville, where he spent the rest of the season...became the first Bats pitcher since Zach Duke in 2013 to begin a season with 10 consecutive scoreless apps (16.2ip)...on 6/30 vs Gwinnett made his Class AAA debut...on 11/7 became a free agent but 2 weeks later was re-signed to a minor league contract with an invitation to 2017 Major League spring training camp. Combined to go 2-4 with a 3.08 ERA and 8 saves in 44 relief appearances between Class-A Brevard County (24g) and Double-A Huntsville (20g)...Began the season at Brevard County, going 1-3 with a 5.06 ERA and 2 saves in 24 appearances...Was promoted to Huntsville on 6/29 and went 1-1 with a 0.92 ERA and 6 saves in 20 outings...Held Southern League opponents to a .217 batting average...Pitched for the Surprise Saguaros in the Arizona Fall League (11g, 1-1, 3.09era)...Was added to the 40-man roster on 11/20. Went 3-5 with a 4.06 ERA and 5 saves in 27 games (3 starts) at Class-A Wisconsin...Was 0-2 with an 8.25 ERA as a starter (12ip, 11er) and 3-3 with a 3.10 ERA in relief (52.1ip, 18er). Went 3-5 with a 4.15 ERA in 15 games (8 starts) at Rookie Helena...Was 3-4 with a 3.52 ERA as a starter (46ip, 18er) and 0-1 with a 5.68 ERA in relief (19ip 12er). Went 1-2 with a 5.40 ERA in 13 games (6 starts) with the Rookie Arizona Brewers...Was 1-1 with a 1.50 ERA as a starter (30ip, 5er) and 0-1 with a 17.10 ERA in relief (10ip, 19er). 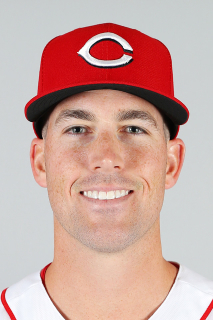 June 5, 2018 Cincinnati Reds released RHP Kevin Shackelford. May 20, 2018 Cincinnati Reds optioned RHP Kevin Shackelford to Louisville Bats. May 19, 2018 Cincinnati Reds recalled Kevin Shackelford from Louisville Bats. May 7, 2018 Cincinnati Reds optioned RHP Kevin Shackelford to Louisville Bats. April 24, 2018 Kevin Shackelford roster status changed by Cincinnati Reds. April 22, 2018 Cincinnati Reds sent RHP Kevin Shackelford on a rehab assignment to Louisville Bats. April 14, 2018 Cincinnati Reds sent RHP Kevin Shackelford on a rehab assignment to Pensacola Blue Wahoos. March 29, 2018 Cincinnati Reds placed RHP Kevin Shackelford on the 10-day disabled list. Right forearm strain. July 29, 2017 Cincinnati Reds recalled RHP Kevin Shackelford from Louisville Bats. June 30, 2017 Cincinnati Reds optioned RHP Kevin Shackelford to Louisville Bats. June 27, 2017 Cincinnati Reds selected the contract of Kevin Shackelford from Louisville Bats. April 3, 2017 RHP Kevin Shackelford assigned to Louisville Bats. November 21, 2016 Cincinnati Reds signed free agent RHP Kevin Shackelford to a minor league contract and invited him to spring training. November 7, 2016 RHP Kevin Shackelford elected free agency. June 28, 2016 RHP Kevin Shackelford assigned to Louisville Bats from Pensacola Blue Wahoos. May 28, 2016 Pensacola Blue Wahoos activated RHP Kevin Shackelford from the 7-day disabled list. April 7, 2016 Pensacola Blue Wahoos placed RHP Kevin Shackelford on the 7-day disabled list. July 23, 2015 Pensacola Blue Wahoos activated RHP Kevin Shackelford from the 7-day disabled list. June 13, 2015 Pensacola Blue Wahoos placed RHP Kevin Shackelford on the 7-day disabled list. April 9, 2015 RHP Kevin Shackelford assigned to Pensacola Blue Wahoos. March 19, 2015 RHP Kevin Shackelford assigned to Cincinnati Reds. August 31, 2014 Cincinnati Reds traded RHP Jonathan Broxton to Milwaukee Brewers for RHP Barrett Astin and RHP Kevin Shackelford. July 19, 2014 Milwaukee Brewers sent RHP Kevin Shackelford outright to Huntsville Stars. July 17, 2014 Milwaukee Brewers designated RHP Kevin Shackelford for assignment. July 3, 2014 RHP Kevin Shackelford assigned to Huntsville Stars from Brevard County Manatees. May 21, 2014 RHP Kevin Shackelford assigned to Brevard County Manatees from Huntsville Stars. March 10, 2014 Milwaukee Brewers optioned RHP Kevin Shackelford to Huntsville Stars. November 20, 2013 Milwaukee Brewers selected the contract of Kevin Shackelford from Huntsville Stars. June 29, 2013 Kevin Shackelford assigned to Huntsville Stars from Brevard County Manatees. March 30, 2013 Kevin Shackelford assigned to Brevard County Manatees from Wisconsin Timber Rattlers. May 30, 2012 Kevin Shackelford roster status changed by Wisconsin Timber Rattlers. May 17, 2012 Wisconsin Timber Rattlers placed RHP Kevin Shackelford on the 7-day disabled list. April 2, 2012 RHP Kevin Shackelford assigned to Wisconsin Timber Rattlers from Helena Brewers. June 10, 2011 Kevin Shackelford assigned to Helena Brewers from AZL Brewers. June 27, 2010 Kevin Shackelford assigned to AZL Brewers from Milwaukee Brewers. June 17, 2010 Milwaukee Brewers signed RHP Kevin Shackelford.